Only the degree of decomposition. Mulch contains partially broken down ingredients and the breakdown of materials is not yet completed. Compost is the final stage of decomposition and is homogenous and looks like a rich brown soil. Why mulch instead of compost? Most gardeners want mulch not compost (soil) Mulch is simply added on top of the garden bed in a thick layer 10 - 30 cms. deep. This helps to retain the moisture in the soil and protect the surface roots of the plants. It discourages weed growth and is a source of food to attract worms. Why is my compost lumpy? This usually happens when the bin has not been turned often enough. Tumble the bin every two or three days. As the contents fall from top to bottom they hit the breaker bar across the middle which helps to break up lumps. Remedy the problem by adding shredded newspaper or empty the bin and dig into the garden and start again. Why is my compost wet and heavy? Vegetable scraps have a high proportion of water. If you have used more than about 25% in proportion to grass cuttings, this may be the problem. Fix it by adding shredded newspaper. Alternatively empty the bin and dig it into your garden and start again. Why does my compost smell? A foul smell indicates that anaerobic decomposition (without oxygen)is taking place. It can be caused by not tumbling sufficiently and aerating the ingredients. Or it may be due to too much moisture (see previous question) or it may be a combination of both. In some cases it may be due to not putting the compost bin in a sunny position. Heat is an important part of the decomposition process. The only remedy is to empty the contents and start again. Why is my compost hot? This is not a problem. Heat is required for decomposition and it indicates that your compost is "cooking" beautifully! Are you an educator? 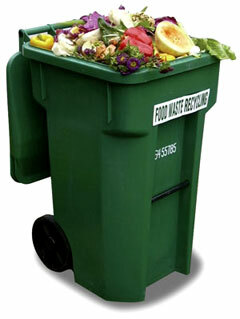 We can help you bring composting into to your school curriculum. Please contact david@peoplepoweredmachines.com for more information.